During Crunchyroll Expo, the anime streaming service announced they have partnered with mobile game developer GREE to publish licensed titles in the west. Although this deal includes multiple titles, the first to be released is based off the popular anime series Is it Wrong to Try to Pick Up Girls in a Dungeon? 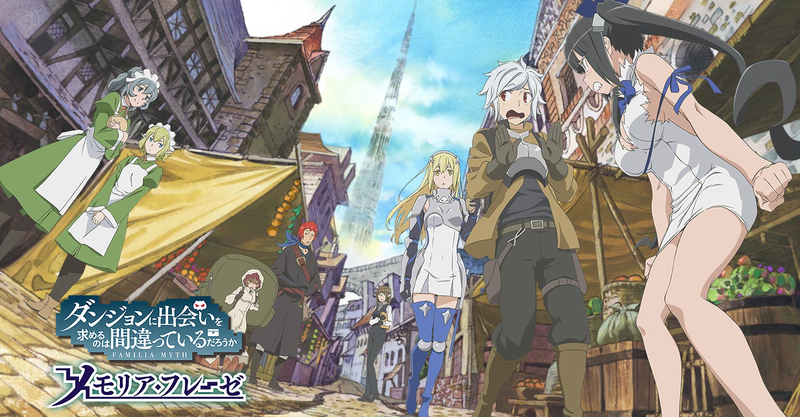 or Danmachi titled Is it Wrong to Try to Pick Up Girls in a Dungeon? MEMORIA FREESE or Dan-Memo. Dan-Memo was originally released in Japan in January 2017 and has since reach well over 3 million downloads. Furthermore, novel series writer Fujino Omori was onboard during development to assist the team with creating an original story for the game. The game plays out as close as it can within the premise of the source material. Players will choose a character (hopefully making the right choice by going with Ais Wallenstein) and enter the recognizable city of Orario. From here players can interact with other characters and go on missions. The battles in the game feature turn-based systems where players can execute normal and special skills. Dan-Memo is set to release in early 2018 for iOS and Android devices. More titles will come out of the agreement between the two companies and will be announced at a later time.